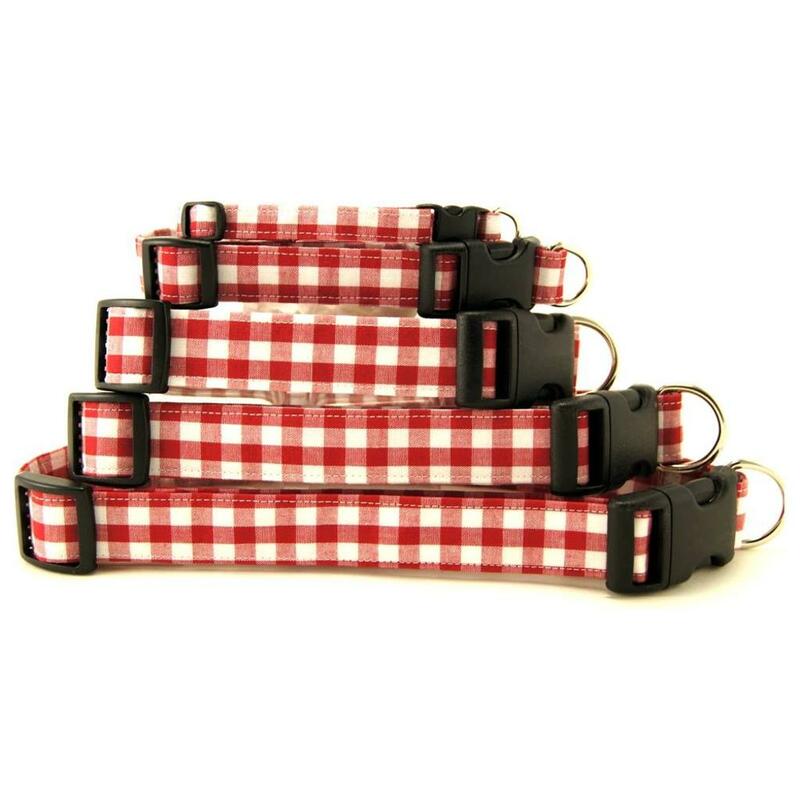 K9 Bytes' quick-clip dog collars have a quick release buckle (side squeeze buckle) and nickel plated D-ring. 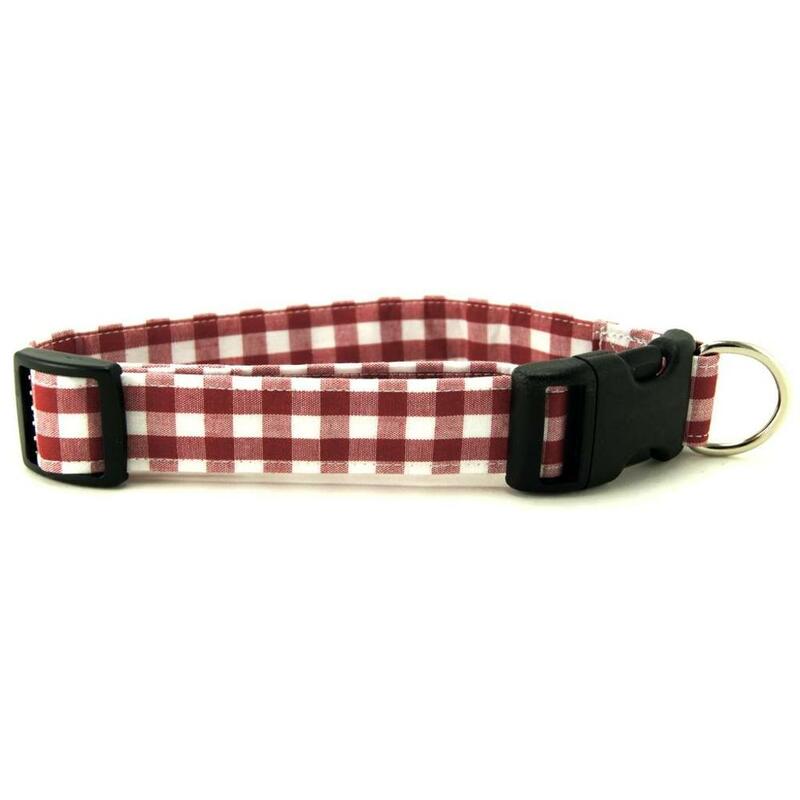 Dog collars are handmade in the USA from cotton fabrics. They are lightweight and nylon free. - Collars are adjustable to fit your pet perfectly! Machine Washable - Use cold water and a mild detergent. Hang or lay flat to air dry.